It’s finally here! 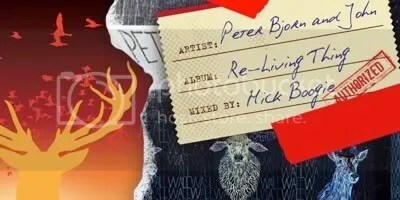 The long awaited, Mick Boogie curated remix project for one of the world’s coolest bands, Peter Bjorn & John! I got together with some of my favorite producers and emcees and came up with a Mick Boogie classic! All your favorite PBJ songs from their “Living Thing” album completely remixed and reworked, and I think you’ll love them all. Wow, this is reaaaallly dope, shouts to 2dope on the world premiere! 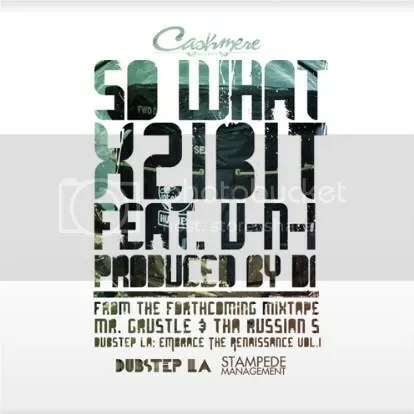 “Xzibit’s “So What” featuring Inglewood, CA’s U-N-I is the second release from Cashmere Agency Presents Mr. Grustle & Tha Russian’s Dubstep LA: Embrace The Renaissance Vol. 1 Mixed By Plastician. Crafted by famed Dubstep producer D1, “So What,” seamlessly blends Dubstep’s heavy oscillating bass lines and dark syncopated sounds with the lineup’s fierce lyricism. Well this is something different, when’s the last time you heard anything from the U-N-I boys on a solo dolo type deal? Well right here we have Thurzday doing his thing, and check back soon to peep Y-O’s solo venture. We world premiered our latest project Where The Streets Have No Name this weekend on imeem.com, our music player got over 260,000 views in just 2 days. Featuring our production as the backdrop for street anthems from the likes of: Lil Wayne, Bun B, Young Buck, Talib Kweli, K’naan, & much more; the project is already being heralded as a classic. Now we are making the entire album available for free download. I would suggest that you download it, and then listen to it all the way through.